Looks like the former owner turned traction control off. Try the Parts Farm in Georgia. They have pretty decent prices. May not have everything you need but it's a start. Hope you make a series of restoration videos to show the progress. How much for a set of wheels and tires? hello I will take the new set can you send me more pics and how do i pay?? 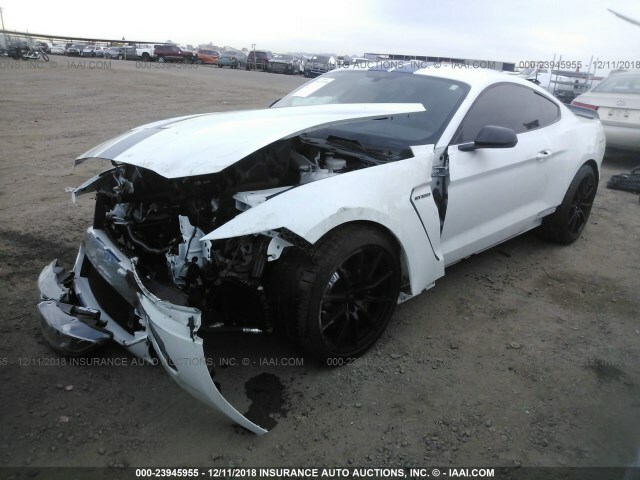 Hay xlr8 My beautiful 2018 GT350 "only 8 months old with 2700 miles" was parked inside my garage and was hit by a senior citizen at at full speed 60 mph. The car is pretty much destroyed from the doors back. The impact was from the side on the drivers side rear quarter panel. That impact pushed the car into and through the wall of the garage on the passenger side. The front of the car has only minor scratches and is actually derivable. The car is now at the body shop and the insurance company is trying to figure out if it is a total loss or repairable. If it is a total and you want the whole car please write back. I expect that the salvage value of the car will be around $20K.